Moving towards Digital India, the EPFO has recently launched e-Nomination facility for filing nomination form by the EPF members. This functionality is available at Member Interface of EPFO Unified Portal. Any member having activated and Aadhaar seeded UAN (Universal Account Number), can avail this online facility. For many of us, our lives revolve around our loved ones. But, What happens to your financial assets if you meet your end unexpectedly? 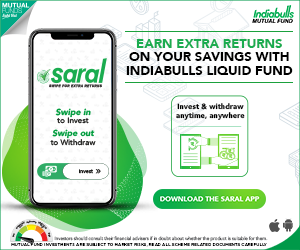 What will happen to your investments? Who will own your assets after you are no-more? Death is certain. It’s a fact. No human gets to predict when or how they will meet their maker in the end, which is why ensuring the care and protection of our loved ones is one of the most important decisions we must make and execute before a tragedy befalls us. So, how to ensure your assets are properly distributed to your loved ones? The first thing that comes to our mind would be, Nomination. You can declare a nominee(s) for your investments and your nominee can claim the ownership of your investments or assets after your death. Upon the death of an EPF member, the Employee Provident Fund amount is paid to the nominee that was nominated at the time of opening of the account. If there was no nominee assigned then the EPF amount is paid to the immediate members of the family. Currently, you can submit nomination details and register your nominee(s) through offline (Form-2) only. However, in 2016, a facility to change/edit the nomination details online has been made available through the previous version of UAN portal. But, this is not an end to end online process. You have to take the print-out of the online nomination form and then have to submit it to your employer. Hence, the EPFO has launched a new e-nomination facility. There is no need to submit the online form to your employer, this process is independent from your employer. Also, it can be e-signed through Aadhaar OTP verification and can be directly submitted to the EPFO. To avail e-Nomination facility, your Aadhaar should have been seeded to EPF UAN and your Date of Joining (DoJ) EPF Scheme should be available in your UAN account. 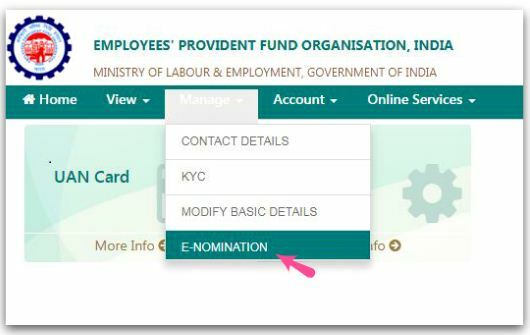 How to submit EPF Account Nomination details online? Kindly visit Member Interface of EPFO Unified Portal. Click on ‘Manage’ menu tab and then click on E-Nomination option. 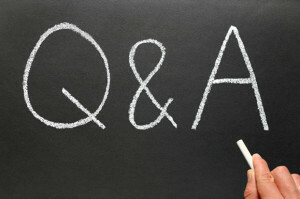 Your profile page, with details like UAN, Name, Date of Birth, gender etc., will be displayed. You have to provide your ‘Permanent Address’ details in the relevant field and click on Save button. You then need to provide ‘yes’ or ‘no’ to Family Declaration. On selecting ‘having family’ – YES, you will be asked to provide ‘Add Family Member(s)’ details. You have to provide details of your family members like their names, date of birth, relation and Address. In the next step, you need to nominate your family member(s) for your EPF account. You can declare the ‘total amount of share (%)’ among your nominees. In case, you would like to nominate only one member of your family as your nominee then you can declare 100% as the share. After providing the above details, kindly click on ‘Save EPF Nomination’ button. You can then approve your e-Nomination form through Aadhaar e-Sign facility. Kindly click on e-Sign button to generate OTP, which will be sent to your mobile number that is linked to your Aadhaar. Kindly enter the OTP in the relevant field. Your e-Nomination gets registered with the EPFO. There is no need to send any physical document to your employer or ex-employer. As discussed, this new functionality is independent from employer. After giving nomination details online, member has to digitally sign the nomination. Aadhaar based eSign is being used for digital signing of nomination form. Aadhaar based eSign is being provided to members free of cost by EPFO. Only member’s mobile number should be linked with Aadhaar. This functionality will also be made available on UMANG mobile app soon. How to withdraw EPF through Govt’s UMANG App? I am getting error “E-Sign up-gradation is under process !! !” while e-signing my nominee details. Can anybody help in this? 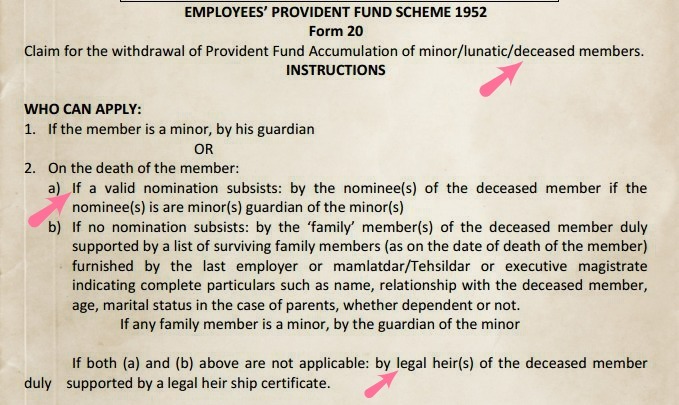 I have a query.Though I am married,I want to keep my parents or someone else other than my wife /children as nominee of PF account.If I change my marital status to ” Married”,can I still chose my parents/ someone else other than my wife /children else only in e-nomination?If not, is there any other way to do the same? Yes, you can nominate your Parents though you are a married person. Thanks for the reply.I wish not to give my hard earned money to my wife because of personal issues.While I am doing the e-nomination,I need to put my marital status as ” Married”.My concern is if I choose my status as “married”,will I be able to pick other nominees other than wife in the drop down choose option?? Yes, you can allocate 100% share to your mother as your EPF nominee though you are a married person. I have done e-nomination online . But for e signing I have not got OTP and as I click on e sign it has shon as under process. You may submit the nomination form through your employer to the EPFO. Online provision – can be down due to temporary tech issue. I have entered all the required details for e-nomination and can see the entry correct as well. I have been getting this error since last 3-4 months regularly. Any suggestions regarding same ? or how to get this nomination registered offline? After submitting nomination detail while i click on e-Sign i got a message “E-Sign up-gradation is under process” my question is what does it mean and what next i have to do. Because now it is showing ” nomination pending “. It will be great if you can help me in this regards. Even I am not sure ont his. However got the below information in one of the public forums on the Net. I believe that if your employer has DSC (Digital signature cert) then they can approve e-Sign requests of employees. You may kindly submit your grievance to the EPFO through this link.. In case, you get a resolution to this issue, kindly share it here, can be useful to all of us, thank you! Go through this article on e-Sign (employer side)..
Is the status still the same?? I am not receiving any otp even though mobile no is registered. Dear Brahmaiah ..Can be a temporary tech issue at EPFO. You may submit your grievance to the EPFO online..click here..
Dear Prajosh..Suggest you to kindly contact your employer. Actually my old mobile number is linked to my Aadhaar so in this case its not possible to e-verify the Nominee update. Is there any other process to verify or some other approch? You may contact EPFO or your employer to re-check your nomination details. Is marital status editable from online UAN portal ? Employer says contacted to local EPFO office, they are also unable to edit the same. Although thru portal i can nominate wife; but what’s the way out to update correct info in portal. I believe that a joint declaration through your employer has to be submitted to the EPFO. Kindly contact your employer. Dear Sravan ..You may get the credit within next few days. click here to submit your grievance to the epfo..